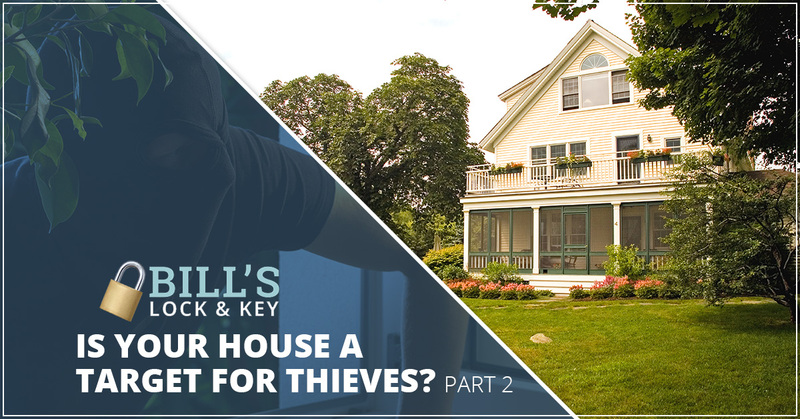 In our last blog, we explored some of the ways that homeowners unknowingly make their houses into targets for thieves. As Albuquerque’s premier locksmiths, we are all about keeping you and your property safe, and we want to help you do your part, too. 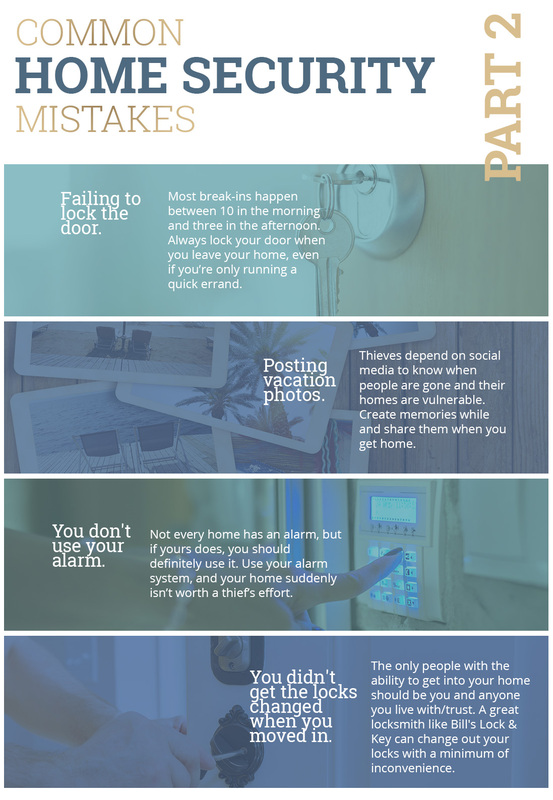 Check out the list below and see if you’re making any of the mistakes that can put you at risk! Are You Making These Home Security Mistakes? You don’t lock your door. A majority of people steadfastly lock their doors at night because they think most burglaries happen under cover of darkness. This is not actually the case. Most break-ins happen between 10 in the morning and three in the afternoon when people are away at work. Thieves will often gain entrance by posing as delivery or salespeople, which gives them the opportunity to go up to your front door and test it. If it’s open because you’re running a 20-minute errand and you’ll be “right back,” they can waltz in and take whatever they want. 20 minutes is more than enough time for them to do serious damage. If you’re leaving the house, lock the door! You go on vacation and post photos while you’re away. We’ve all probably heard about the risk of advertising the fact that you’re thousands of miles away from your home. It has become well-known because it’s a common issue. Thieves depend on social media to know when people are gone and their homes are vulnerable. They especially love it when you announce your trip is coming up or share how long you’ll be gone. While it’s tempting to share vacation photos in the moment, don’t do it. Create memories while you’re on vacation and wait to share them until you get home. You don’t use your alarm. Not every home has an alarm, but if yours does, you should definitely use it. Many people don’t arm their alarms during the day, which is another reason why a majority of break-ins happen while the sun is up. Use your alarm system, and you suddenly aren’t worth the effort. If you want an alarm system or you need to upgrade/learn how yours works, give Bill’s Lock & Key a call. We can get everything up to snuff. You didn’t get the locks changed when you moved in. Getting the locks changed is a normal part of any move into a new place. However, if you’re new to moving procedures or you know you should change the locks and keep putting it off, your home is vulnerable. Don’t let this happen. The only people with the ability to get into your home should be you and anyone you live with/trust. A great locksmith like Bill’s Lock & Key can change out your locks with a minimum of inconvenience, upgrading your security and giving you peace of mind. It’s important to be able to relax and feel safe in your own home. We are proud to offer the people of Albuquerque affordable, excellent locksmith services, including lock changes. Whether you’ve locked yourself out or you need to figure out how to be safe when you lock yourself in, we are your solution. Learn more about our array of helpful services and always feel free to call us with any questions. We are here to serve you, and we can’t wait to get started!